Content: 1 Pound (7-8 Pcs/lb). 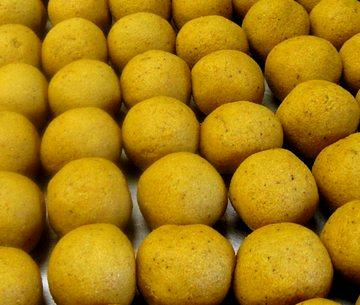 Besan ke Ladoo is a favorite family delight all over India. Combination of roasted Gram Flour (Besan) in home made ghee and right amount of sugar brings out the true flavor of India. Once it cools down, it is cut into pieces to form either burfi (diamond/square shape) or ladoo (ball shape). Eat as a snack or dessert after the meal. It is also used as prasad in lot of religious ceremonies. Major Ingredients: Gram Flour, Ghee (Clarified Butter), Sugar, Almonds, Pistachio. Store and serve at room temperature for best taste. Buy Ladoo: Besan Laddu, 1 Pound, sold & shipped by Bengali Sweet House where you can shop online for Quality Indian Sweets, Snacks & Gift Baskets Shop - Bengali Sweet House. This Besan Mithai collection has been tagged as Ladoo, Laddu, Prasadam, Mithai Gift Box, Fresh Indian Sweets.